Healthcare organizations face increasing risks regarding the protected health information entrusted to them by their patients. The growth in electronic health records (EHRs), government regulation, technology risks, and recent efforts by state-sponsored hacking groups amplify the need for healthcare organizations to mature their information security programs. At the same time, the demands on healthcare IT resources are at an all-time high as organizations struggle to balance managing risk with new or optimizing business-driven initiatives. Optimum has broad experience working inside healthcare organizations. 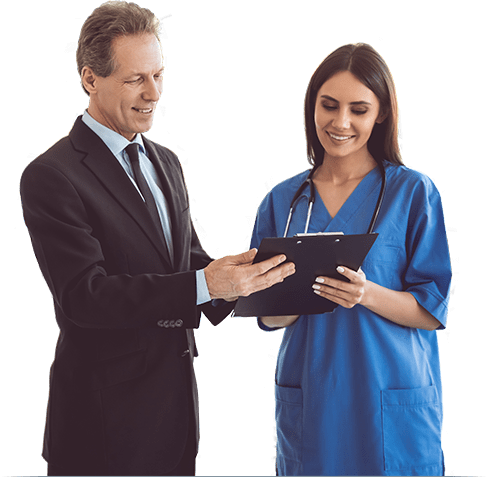 We understand healthcare operations, the current demands on healthcare IT staff, and the Office of Civil Right’s (OCR) expectations for compliance with HIPAA and HITECH. Our consultants have served as hospital CIOs, CTOs, and CISOs. We have the experience and insight to share industry best practices and solutions to common problems. Whatever the engagement, we deliver an individualized experience, customized to the needs and culture of your organization. Data breaches are a “when” event, not an “if” event and have consistently been on the rise over the last few years due to the value that hackers see in this information. The alarming number of breaches paired with the increase of healthcare technology has made breach avoidance and patient data security some of the biggest concerns for healthcare organizations. Are You Preparing For a Cyber Attack? We live in a world of constant innovation and instant gratification. The 24-hour news cycle has been supplanted by the 140+-character scoop and this morning’s update is this evening’s old news. The pace of change and modernization for society can only be rivaled by the creativity and persistence of those that would seek to profit from the slightest vulnerabilities of the systems the world has learned to not live without. And in this ever-connected world, it’s naive to think that criminals aren’t evolving just as fast, if not faster. As long as there have been opportunities for deceit, deceivers have been creative.